Chicago Blackhawks winger Patrick Kane is featured on this week’s cover of Sports Illustrated. 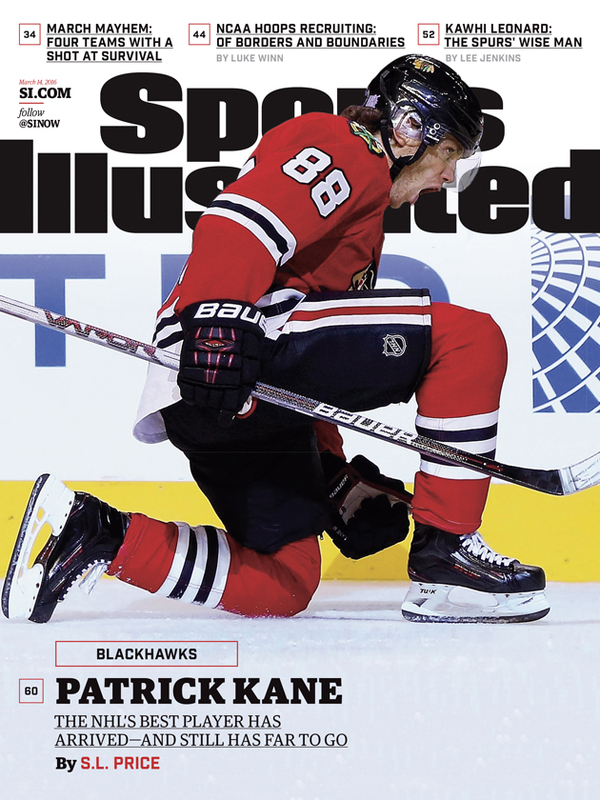 Chicago Blackhawks winger Patrick Kane is featured on one of two regional covers of this week’s Sports Illustrated. 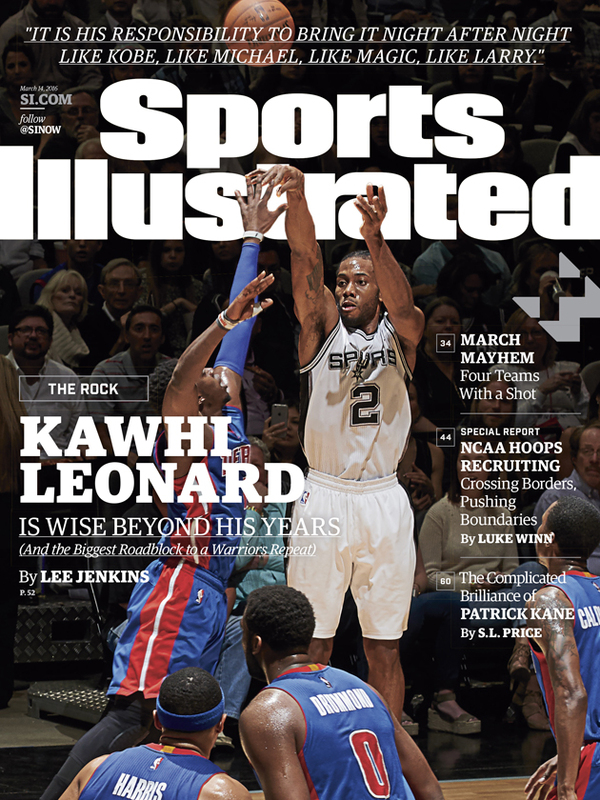 San Antonio Spurs small forward Kawhi Leonard is featured on the other regional cover. In addition to stories about Kane by S.L. Price and Leonard by Lee Jenkins, this week's issue also features SI’s NCAA tournament preview and a special report by Luke Winn on college basketball recruiting practices overseas. The full cover story on Kane can be read here. The following locations will receive the Kane cover: Illinois, North Dakota, South Dakota, Nebraska, Minnesota, Iowa, Wisconsin, Indiana, Michigan, Eastern Missouri, Ohio, West Virginia, Virginia, Pennsylvania, Maryland, Washington D.C., Delaware, New Jersey, New York, Connecticut, Massachusetts, Vermont, New Hampshire, Rhode Island, Maine. The Leonard cover will be delivered to the following locations: Texas, Washington, Oregon, Idaho, Utah, Nevada, California, Arizona, Hawaii, Alaska, Montana, Wyoming, Colorado, New Mexico, Kansas, Oklahoma, Missouri, Arkansas, Louisiana, Mississippi, Alabama, Tennessee, Kentucky, North Carolina, South Carolina, Georgia, Florida. This post has been updated to correct a mischaracterization of the focus of Price's story on Kane and add a link to the full story.